This National Register-eligible one-story house was built in 1852 with a detailed full porch added in 1905. 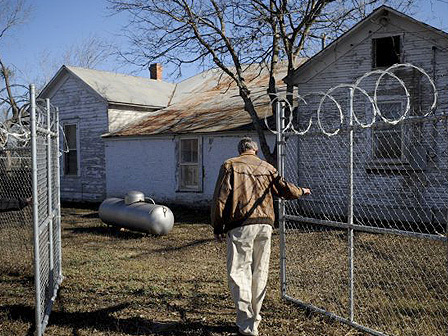 The house is located on a 12-acre site along Cibolo Creek. John Harrison and his wife lived in the house for two years while John served as the first postmaster for Selma. The house is one of only two remaining original structures in Selma – the other is the Selma Stage Stop and post office. The house is owned by the City but is currently vacant and threatened by vandalism and further deterioration.